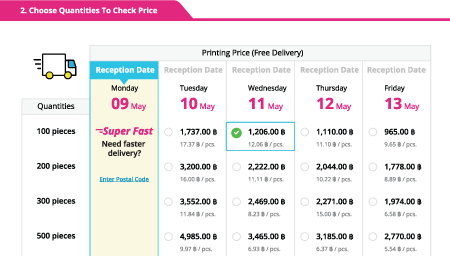 Right now, you can choose from over 40 different products with Gogoprint. To quickly find a specific product, you can also use the search bar. If the product you are looking for is not available, feel free to contact our customer service who will be happy to assist you. 2. 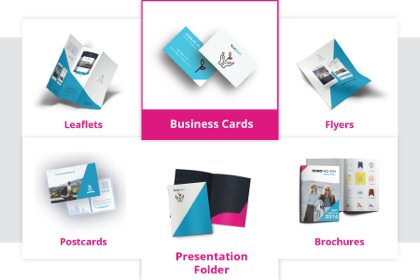 Browse & Use our Free Templates: You can browse Gogoprint's selection of free templates and design your products online using the editor. It is convenient and fast. 3. Order Free Design: Select this option if you would like one of Gogoprint's experienced designers to compose a professional design for your products. 2. 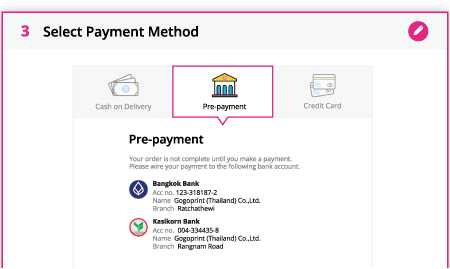 Select a quantity and delivery date: In the price table, you can choose between different quantities, as well as different expected delivery dates. Simply click the combination of quantity and delivery date that you would like to order. Clicking the pricetable allows to add the product to your cart, where you can also apply a coupon code before checking out.